All DPS elementary schools offer a full-day of instruction to children in Denver. DPS has supplemented the basic half-day curriculum – required by law – with a full-day kindergarten option. The first half of the day is free and the second half of the day is optional and tuition-based, for more information on tuition see the Funding and Tuition page. Children must be 5-years-old on or before October 1 of the year of enrollment to be eligible. Specific hours of operation are determined by the individual school. Holidays and District Planning Days are determined by the district calendar. Denver Public Schools provides developmentally appropriate kindergarten education services for 5-year-old children in Denver. Kindergarten is available in all DPS elementary schools. The kindergarten program provides a safe and nurturing environment that promotes and supports the physical, social, emotional, and cognitive development of the child. The program serves approximately 6,500 kindergarten children. Parent involvement is a critical component of the kindergarten experience. Children get the most from their educational experience when teachers and parents work together as a team. Parents are encouraged to be active partners in their child’s education. Half-day kindergarten is available, free of charge, at all DPS neighborhood elementary schools for 5 year-olds. Every school in DPS offers at least one full-day kindergarten program, with full and partial tuition assistance available for the second half of the day. Children must be 5 years-old on or before October 1 of the year of enrollment to attend kindergarten. Kindergarten registration takes place at the elementary school. 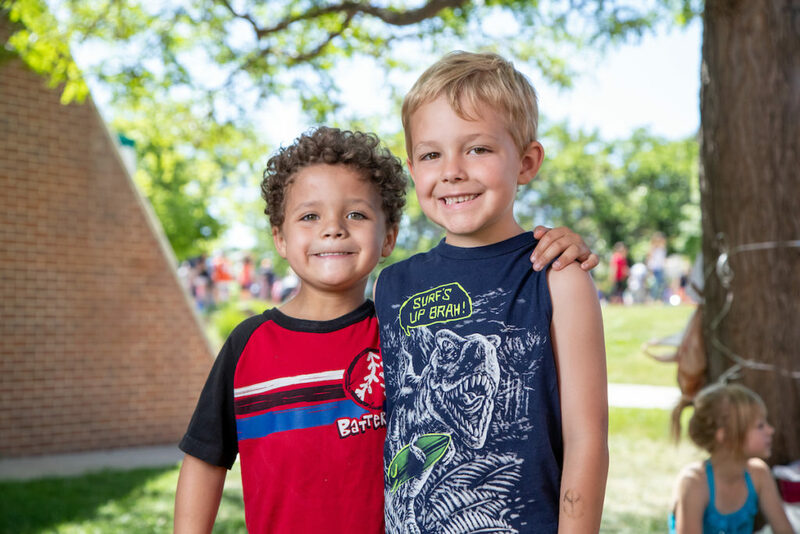 See the Applying to a Kindergarten Program page for specific registration requirements. For more information on tuition, see the Tuition and Tuition Assistance page. DPS is excited to share that in order to expand access to more students, we are eliminating the testing process to enter into a handful of Advanced Kindergarten classrooms. Kindergarten teachers district wide will receive professional learning opportunities to strengthen their skills at differentiating to meet the needs of all learners in their classroom. Beginning in the 2018-2019 school year, DPS will no longer designate eight specific schools to serve advanced students. This will provide more opportunity for families of advanced students to find a school which is a good fit for their student. As a parent of an advanced learner who is looking for possible school options for your child, there are several questions which can help you gain more information about individual schools philosophies and whether it will be a good fit for your child. Be sure to visit the Gifted and Talented website, visit schools and ask questions like the ones below. What are the advanced learning opportunities at your school? How do you identify advanced students who need differentiated instruction? How are services decided and implemented? How will my child benefit from advanced programming? Will the advanced programming services mean more work for my child and not qualitatively different work? How do we address the social and emotional needs of my child? In what ways can we work/communicate together? How do I assist my child in transitions to a new school? What are the ways I can participate in school activities/committees? What kind of assessments are used to monitor my child’s progress? What resources or support systems are available to parents of advanced children? What are some ways I can support my child’s strengths outside the school environment? What extra-curricular programs do you provide to support the talents of advanced students?